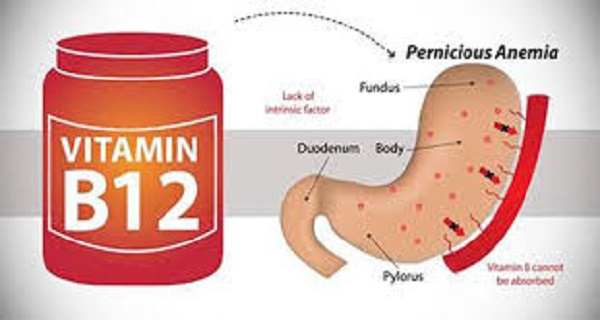 Home Unlabelled DON’T IGNORE THESE 7 WARNING SIGNS OF VITAMIN B12 DEFICIENCY! One of the most critical but overlooked vitamins in the world is vitamin B12. Vitamin B12 is involved in the metabolism of every cell of the body. If left untreated, vitamin B-12 deficiency can lead to prolonged blood diseases as well as neurological issues. Here are seven warning signs associated with vitamin B-12 deficiency. Frequent bouts about dizziness and vertigo can indicate B12 deficiency. You may experience a feeling of wobbles when you get up too fast from a sitting position. You may also feel dizzy when you walk up or downstairs, it could also be dangerous. Chronic vertigo symptoms should be brought to your doctor’s attention, so you can be given the required treatment for the deficiency. Chronic and uncharacteristic forgetfulness may indicate a B12 deficiency. Many patients assume that they are suffering from dementia or Alzheimer’s, especially in their senior years while all they lack is B12. A simple blood test can diagnose B12 deficiency, and a supplemental regimen can help improve your memory. Experiencing pins and needles throughout your body when you haven’t compressed your body could be signs of B12 deficiency. Numbness or the feeling of electric shock waves could be a result of nerve damage in B12 deficient patients. Nerve issues in the body can be traced back to low oxygen levels, due to poor red blood cell production, which the B12 vitamin largely affects. Fatigue felt for days even though you regularly get a good night’s sleep may be the result of a B12 deficiency. This is due to lack of red blood cell production, which is one of B12s responsibilities. Lack of red blood cells means oxygen transport to your organs is lacking, which is what is causing extreme fatigue.